At first it seemed silly to me to post a “2015 review” as if I do anything all that interesting, but I also know it’s good to step back and reflect on things, so here goes. I don’t want that to sound like everything was horrible. Back in June I came on board at The Iron Yard to build their Corporate Education / B2B business, and we’re building some incredibly awesome stuff that will be hitting hard in 2016. In addition, I got to play a tiny part in helping bring an awesome new platform for the deaf into play (much bigger kudos to VTCSecure who actually has been working on it for years to bring it to fruition). I also launched an apprenticeship program at my former employer based off of the 8th Light model. Strategic Play incorporating Wardley Maps and other elements. The team was behind on a critical project with tight deadlines. I was able to rally the troops, and by putting in an extraordinary effort (the final week I believe we worked well over 100 hours) we shipped it. However, in the midst of that, my dad got extremely sick. He had to have emergency surgery, and we brought him up to stay with us. During that final project push, my dad had developed a blockage in his intestines that I should have been able to catch, but didn’t because I was at work. So the day after we shipped, I ended up in ICU with my dad, where he spent 10 days in the hospital. I was then able to transfer him back to Florida where he ended up in the hospital twice – with me making frequent, frantic drives to Florida from NC – before he passed away in May. I questioned a lot the decisions I made balancing work and family. Ultimately I couldn’t have predicted things happening as they did, and wanted to be able to be there for my team and my dad. You can’t take back decisions you made, and as much as I talk about work/life balance, I made a decision to not focus on my dad as much as I should have. That’s rough. An amazing group of people I met this year on the Twitter that inspires me: Saron Yitbarek with Code Newbie, Cate Huston, Lesley Carhart, Carina C. Zona, Keri Karandrakis (and her Tweet heard round the world), Coraline Ada Ehmke for her journey, and Ruth Malan for her incredible generosity and motivational tweets. And let’s not forget Taylor Swift for helping expand the reach of security topics to more people than anyone could imagine. I’m excited by what 2016 is going to bring. Maybe it’s just me coming off the first vacation I’ve had in years, but there is a lot of amazing things all coming together, and I’m ready to uncork a bottle of fizzy drink and celebrate the end of The Year That Shall No Longer Be Named. Huge thanks to Red Hat for having me out for Red Hat Agile Day 2015! Below are the slides from the talk! Update: The talk was recorded! The video is posted below under the slides! Strategic Play from Cory Foy on Vimeo. Why are my commits attributed to devil man? 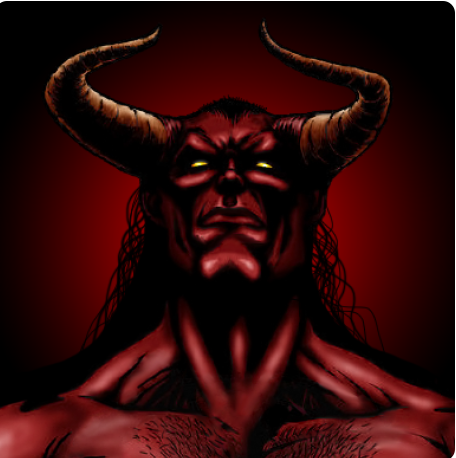 We were referring to the user as “Devil Man” because this was his profile picture. Turns out, I have a new laptop that I haven’t configured with all my dotfiles, etc. However, I was playing around with a Minecraft/Raspberry Pi server, and pulling down the tools set my global Git configuration. Since I didn’t change it to anything else, the PR I sent got pushed up with the above as the configuration, and “Devil Man” must have that as his GitHub repository email, so GitHub helpfully linked the two. Thankfully this wasn’t a security vulnerability per se, but in case you ever wonder why your commits are attributed to Devil Man, now you know that it isn’t his fault, but your own for not configuring your commits properly. This week I had the privilege of sitting in for the great Jared Richardson and giving his Continuous Testing workshop at SQE’s Better Software West. I added my own flavor to various parts, and wanted to post the slides for participants. If you are interested in finding ways to improve your practices, be sure to reach out! Thanks to everyone who came out to my TriAgile talk on Choosing Between Scrum and Kanban! You can also see a video of it from my presentation at the SQE Conference from November. Last night I spoke at the Triangle.rb meetup on focused practice and code katas. Thanks to everyone who came out! Below are my slides, and a screen recording of the code kata I performed (known as Coin Changer). I’ve always enjoyed Test-Driven Development. I find that it helps keep me focused on thinking about small steps and object interactions. But TDD has always been a challenge in UI heavy applications, and even more so in the mobile world where much of what we do is user interface interactions. 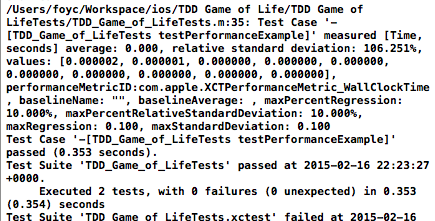 But over the past couple of years, a lot of work has been done to make iOS and Xcode much more amenable to TDD. However, I haven’t found a great tutorial that goes end-to-end in getting up and running with tests in a step-by-step fashion. Gordon Fontenot’s Test Driving iOS – A Primer comes closest, but still leaves out some critical steps. For this article, we’ll build towards an implementation of Conway’s Game of Life – a common exercise used in Code Retreats around the world. So let’s get started! 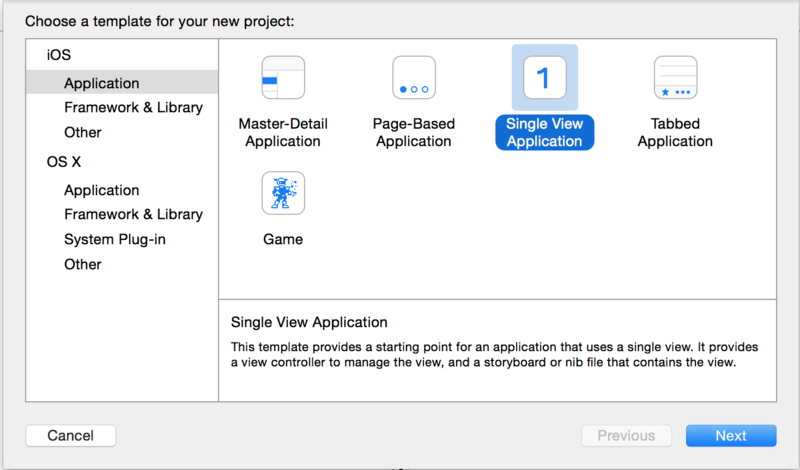 Open Xcode and create a new iOS Single View Application. 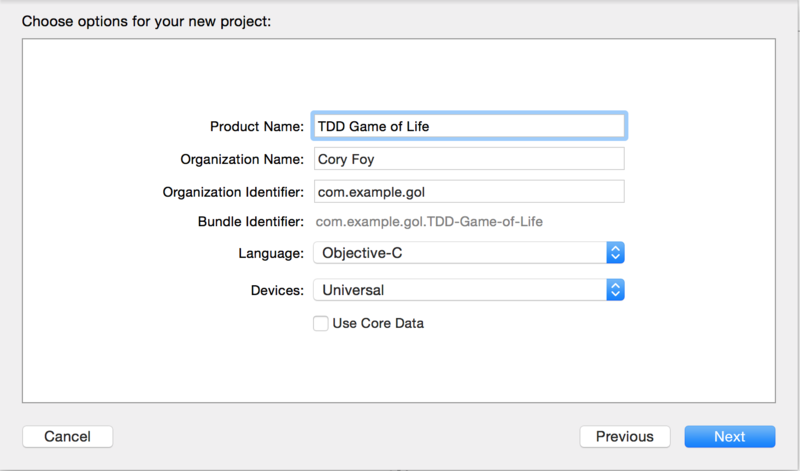 Name it TDD Game of Life and set the org identifier to com.example.gol (if you don’t already know what to put in there). Select the directory to put it in, and let it create the project. Once you have the project created, close Xcode and open up a Terminal prompt and navigate to the directory that houses your project. Once there, run the command pod init. 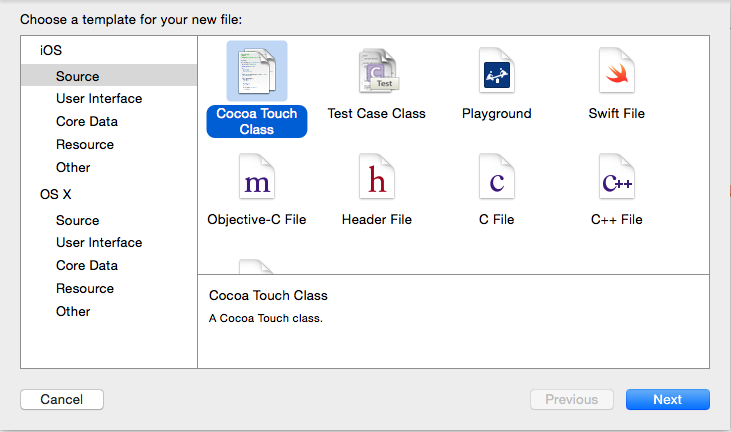 This creates a default Podfile for Cocoapods. This is where you’ll list the frameworks we’ll be using – similar to a Gemfile from the Ruby world. Save the Podfile, and then in your terminal, run the command pod install. You’ve now installed the Pods into your Xcode project and are ready to start testing! Conway’s Game of Life is based on some pretty simple rules. One of those rules is that a cell can be in one of two states – alive or dead – and can either be killed or resurrected based on the state of the cells surrounding it. Name it CellSpec and leave the File Type as “Empty File”, then click Next. Make sure it is adding the file to the Tests folder (leaving everything else as defaults), and click Create. 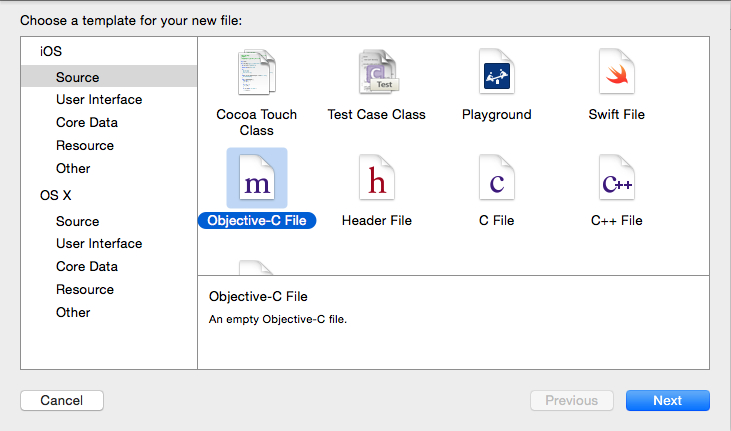 Xcode should now open the newly created file. The first import includes the Specta library. The second and third lines include the Expecta library and setup a shorthand to prevent us from having to write expectations with the prefix EXP_expect. The final line imports our Cell class which doesn’t exist yet! It doesn’t exist because no test has told us to create it (and yes, compiler errors in our tests cound as test failures). So let’s try to build our test file. 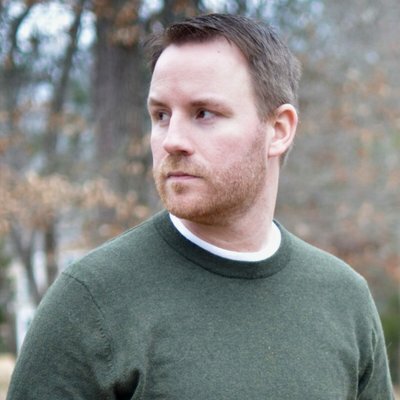 Either go to Product->Build or just hit Command-B. It should fail because Cell.h couldn’t be found. (If it fails for any other reason, make sure you have Cocoapods installed properly and ran the pod install command). Name the class Cell and leave all of the other defaults as is, then click Next. 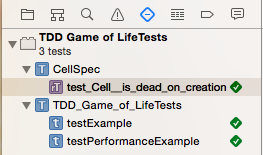 Make sure it is adding the file to the main “TDD Game of Life” folder, and click create. Once the file is created, build the application again using Command-B. You should see the build succeed. (If your build does not succeed because of a linker error, close Xcode and reopen it so the Cocoapods changes we made earlier can take effect). There’s a lot of design assumptions packed into this one test. First, we assume we can create a Cell with no other information. Secondly. we assume we can query a cell’s status by using a method called isAlive. Lastly, we assume that method tells us that status by giving us a binary YES/NO. This should allow us to compile, although with warnings. If we now hit Command-U (or go to Product->Test), we should see our first test failure! If we now hit Command-U, we’ll see our tests pass! (If you don’t see the below in your Xcode, click on the diamond icon with the dash in the middle). Congratulations! You’ve written your first iOS Objective-C test! If we try to run the tests (Command-U), we’ll get a failure because the method resurrect doesn’t exist. Again, we’re making a design assumption here that we’ll be using a method called resurrect to make a cell alive. And if we run our tests – success! TDD’s lifecycle is known as the Red-Green-Refactor loop. We write a failing test, write just enough code to make it pass, and then refactor any duplication. In this case, our production code is pretty straightforward and doesn’t have any duplication. But our test code does – namely, the creation of the Cell class over and over. It’s important to remember that test code is still code, and should be as clean as our production code (although I will sometimes trade redability for no duplication). Now we have a basic TDD workflow setup with Expecta and Selecta that gives us the opportunity to test our code. Remember the cycle of Red-Green-Refactor: Don’t write production code where a test isn’t failing because you don’t have it. Now go forth and have fun! 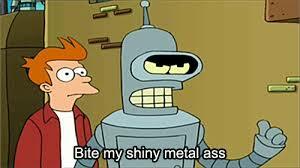 Over the past couple of weeks, I’ve been upgrading a particularly large and older Rails 3 app to Rails 4. This app uses Oracle against a legacy database, meaning a large chunk of the data structure does not follow Rails conventions. One of the examples is that the primary key we use on the tables is not named id but is instead called something like row_no. This is defined in the table as a NUMBER type with no precision or scale (in Oracle, you can define types like NUMBER(9,2) which would have 9 significant digits, 2 of which are after the decimal). To access the database, we’re using the excellent Oracle Enhanced adapter. However, by default, the adapter treats columns defined as NUMBER with no precision or scale as a decimal type. Since we’re using them as IDs, we expect them to be integers. This worked great to convert all of the columns. But, we discovered along the way that, for one specific table, this logic wasn’t being applied. The adapter has a method called simplified_type which applies the appropriate logic. But when I put a breakpoint on it, I noticed that the logic wasn’t applied for this one specific table. The first clue came at the timing of the breakpoint. I noticed that I hit the breakpoint for the trouble table during startup of the rails console, while the other tables weren’t hit until I interacted with them in the console. The second clue was then when I hit the breakpoint, emulate_integers_by_column_name was set to false – even though I had it set above. The third clue was remembering that initializers are run in alphabetical order and since my Oracle initializer was named, well, oracle.rb, there was a good chance something was running ahead of time. And there was – but it wasn’t what I was expecting. Because this is a legacy database, there are some specific sanity checks we run on startup to check certain aspects of it. And sure enough, we were doing a call which caused the problematic table’s model to become initialized. That meant that table would be called – and column mappings cached – before we had the chance to configure the database to have the behavior we really needed. We solved the issue by renaming the database adapter initializer to run first (000_oracle.rb). This problem represents the joy and challenge of debugging problems. The debugger was able to tell us the state of the application, but it should provide input for hypothesis. The column isn’t converted – what could lead to that? The flag isn’t set – when should it be set, and why wouldn’t it be? When could code run before other code? So when you face a challenge, start with a hypothesis before the debugger – not only will you potentially learn more, you might be able to deploy it in the right spot. Use it to answer questions. Special thanks to the folks at the Oracle Enhanced forum especially the ever awesome Lori Olson and Yasuo Honda! Choosing Between Scrum and Kanban from Cory Foy on Vimeo. On November 13th, I gave a talk at the SQE Orlando conference on “Choosing Between Scrum and Kanban”. I’ve published the slides on Slideshare, or you can view them below! If you’re interested in learning how you can do this in your organization, give me a shout at foyc at coryfoy dot com!